Given the growing impact phones and tablets are having on Apple's bottom line, it shouldn't be that surprising to see the annual Worldwide Developers Conference take on more of a mobile focus. In recent years, Apple has used the week-long get-together for developers to unveil brand new iPhones and significant upgrades to iOS. It turns out that text entry on an iPhone is easier than many of us thought it would be when Steve Jobs first introduced us the touchscreen device in 2007. But it’s still not great, particularly when you want to perform actions like selecting text or copying and pasting. These are actions that are incredibly common and simple on a Mac, but require fairly cumbersome, painstaking fingertip precision on iOS. I’d love to see iOS 6 offer some means of simplifying common gestures like those. A recent proof of concept video (since dubbed “Hooper Selection”) showcases one approach for easier cursor movement and text selection on the iPad by supporting one- and two-finger dragging across the on-screen keyboard; the video received a lot of attention for two reasons: The gestures seemed pretty intuitive, and nobody loves the current approach. I hope Apple draws some inspiration from it. Another text-related area for Apple to address is iOS’s autocorrect functionality. Though the feature certainly has its detractors, count me as a fan: My iOS typing benefits greatly from autocorrect, and has improved with successive iOS updates. Recent updates have made iOS better at detecting when I’d missed the spacebar and instead typed a b, n, or v; it’s always delightful when iOS can correct something like “Bsledbbeans” into “Baked beans.” If Apple can continue its trend of steadily improving autocorrect, we’ll all benefit. It’s probably time for Apple to rethink the iPhone’s home screen. The Springboard is the iOS home screen, where all your apps and folders reside. It worked great when the first iPhone supported only Apple’s stock apps, and there weren’t even enough to fill up a single screen. Imagine if the only way to browse your Mac apps was in the Dock, and if you had more apps than could fit in your Dock, you’d need to drag to see a second Dock that was otherwise invisible to you. That would grow old quickly, just as the Springboard has. 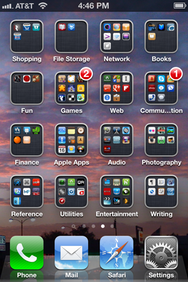 Folders, first introduced in iOS 4, kind of improved things. But all your iOS folders start to blend together, looking nearly visually indistinguishable from one another. Apple understandably isn’t interested in implementing a desktop metaphor on iOS, and that’s fine. But coming up with a better means of navigating your apps would be well-received by folks with lots of apps—and those folks are probably customers that Apple really appreciates. I welcomed the tremendous improvements Apple made to notifications with iOS 5: Banner notifications replaced those annoying blue dialog boxes, and Notification Center made it easy to review those alerts that you might have missed. But both features need work. Anyone who receives a lot of notifications shares one common complaint about the banners: There’s no obvious way to dismiss them quickly. When a banner covers the content you’re trying to read or the Back button you’re trying to tap, that’s no good. Some enterprising folks have discovered that you can get rid of such a notification by swiping right-to-left across it, but that doesn’t appear to be an officially supported gesture. Mess it up, and you accidentally tap on the notification instead—launching an app you don’t necessarily want to open. A simple close button would help a lot here. That's an awfully tiny button, and you have to press a second time to clear the notifications—for every single app. 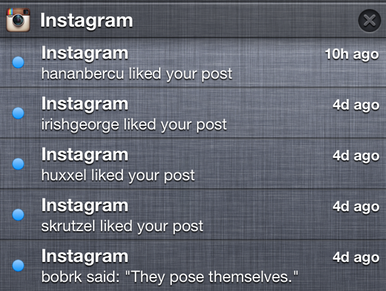 Notification Center has its faults, too. First, I find its organization—in which alerts are grouped by app—to be not all that useful; in fact, I prefer the Lock Screen and its reverse chronological sorting of notifications. Clearing old notifications still requires a pair of taps—the first on a comically small tapping target—and Apple’s failure to include a simple Clear All button for when you crave Notification Center Zero makes little sense. I’m rooting for iOS 6 to address these failings, and to add a significant new Notification Center feature, too—support for third-party apps to add widgets. I use the Stocks and Weather widgets on my iPhone all the time, and I get annoyed that they’re not present on my iPad (which lacks Stocks and Weather apps of its own). Opening up Notification Center to third-party app developers would mean that I could get quick access to, say, multiple weather forecasts, Macworld headlines, or other content I’d like frequent access to. And while we’re on the subject, I’d like Apple to allow better Calendar customization in Notification Center—I want to see my next appointments on specific calendars, not just the first five appointments found on the first calendar selected. What’s more, a few well-placed controls in Notification Center could finally offer quicker access to commonly needed features like Airplane Mode, Bluetooth, and the like, all of which currently require too many taps to toggle. Some iPhone competitors offer a clever feature for conserving battery life: They use geolocation to figure out where you are, automatically enabling and disabling the Wi-Fi antenna when you’re away from a known hotspot. When you’re home, the phone can tell; it turns on Wi-Fi and connects to your network. Jump in the car, however, and your phone soon notes that you’ve left your abode, and shuts off the Wi-Fi so that the device won’t needlessly continue to scan for other base stations. You can override that, of course, if you find yourself at a coffeeshop with a wireless network you’d like to connect to—and then your phone remembers the location for that hotspot, too. 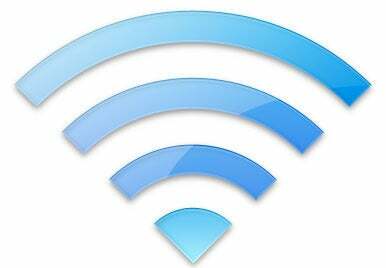 When you head home again, your phone automatically turns off the Wi-Fi again until you get there. Were iOS updates not free, I would say that this one alone could be worth the price of admission. Prove it to yourself by disabling Wi-Fi the next time you’re out and about, and watch how much more slowly your iPhone’s battery drains. I’ve written at length (with my colleague Dan Moren) about Siri features Apple ought to add to iOS—easy pickings like the ability to change settings, tweet, launch apps, and the like; I won’t rehash them all here. But I’d welcome core Siri improvements eagerly, even if it meant that one common request—support for third-party apps to use Siri—fell by the wayside for now. In fact, as Dan and I suggested, Apple could do well to integrate more online services (in addition to Yelp and WolframAlpha) behind-the-scenes to power Siri’s virtual brain. So that’s my iOS 6 wish list. We’ll likely see whether Apple caters to my needs or not next month. But in the meantime: What are you hoping for? Sound off in the comments. Lex Friedman is a Macworld staff writer.